Seu Jorge brings his acoustic tour of David Bowie covers to Mr. Smalls. Photo courtesy Mariana Jorge. Some of 2017’s biggest concerts will arrive this fall, from huge arena shows (Janet Jackson and Lady Gaga) to festivals (Thrival and RANT) and everything in between. Here are some of the best shows and festivals coming to Pittsburgh these coming months — so many that we had to include an encore at the end. Most consider fall to kick off Labor Day Weekend, which means this guide begins on September 1-3 in Lawrenceville when RANT, the granddaddy of Pittsburgh neighborhood music festivals, returns for its sixth year. The action starts Friday with free shows at Arsenal Lanes, Bay 4 at The Foundry and others. The main event happens Saturday when hundreds of Pittsburgh musical acts across genres perform free sets in dozens of venues up and down Butler and beyond. Finally, there’s an acoustic brunch at Hambone’s Sunday and a youth stage at Arsenal Lanes. Protobeds? Gotomartyr? After a gig a few years back, Pittsburgh’s Gotobeds befriended Detroit’s Protomartyr. It’s not uncommon to catch this pair of Rust Belt post-punk revivalists, each signed to a major label, on tour in Pittsburgh’s finest dives, whether it’s Gooski’s or The Shop, or in this case, Cattivo. Opening is Melkbelly, a four-piece noise rock band from Chicago that Stereogum called “the most exciting band” at this year’s SXSW. Twice the brews and twice the brutality: this year’s Brewtal heavy metal and craft beer brouhaha makes the move to bigger digs at Mr. Smalls, with a marquee headliner in the form of Savannah sludge lords Baroness. Organized locally by members of the city’s craft beer and metal scene (there’s more crossover than you might expect), year two is nearly twice the size of last year’s and includes more than 30 breweries and 10 bands, both local and national. Queens of the Stone Age lead singer Josh Homme fits the rock star mold perfectly, with the swagger, chops and pompadour needed to front one of great rock bands in America today. Their new album, Villians, is the band’s seventh LP since forming in 1997, and the first since 2013’s … Like Clockwork. It won’t be released until late August but it’s already earning rave reviews. It’s unfussy, hard-hitting rock perfect for hard-partying nights, or just cruising to Palm Desert with the top down. UK hard rock duo Royal Blood, who released their second full-length album in June, open. Sixto Rodriguez of Searching for Sugar Man fame has a new generation of American fans thanks almost entirely to the documentary about his life that took home the Oscar for Best Documentary at the 2013 Academy Awards. From Detroit, Rodriguez’s catchy counterculture gems were beloved in South Africa but found next to no traction back home, causing him to leave music behind for good in the mid-’70s. Or so he thought: now he’s selling out concert halls from Cape Town to Cleveland. Do you remember the Wes Anderson film The Life Aquatic with Steve Zissou? 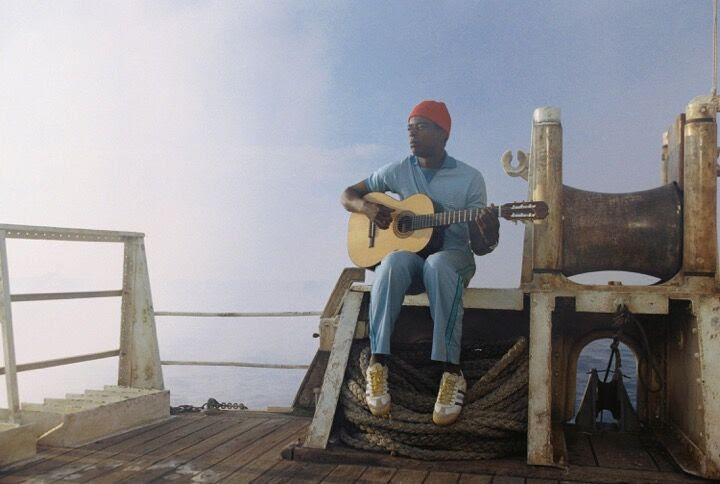 In it, Brazilian singer-songwriter Seu Jorge plays Pelé dos Santos, a low-level crew member on a scientific expedition (of sorts) who is almost always seen singing David Bowie covers in Portugese. His renditions formed the soundtrack to the film and now, life will imitate art as he takes his solo acoustic show on the road. What did Bowie think of the covers? “Had Seu Jorge not recorded my songs in Portuguese, I would never have heard this new level of beauty which he has imbued them with,” said the artist. Founding member and self-proclaimed “creative genius behind Pink Floyd,” Roger Waters visits PPG Paints Arena in support of Is This the Life We Really Want?, his first new solo album since Amused to Death in 1992. It’s been getting good reviews, but recent setlists show that Waters is wise to leave most of the new stuff at home, opting instead for a two-set performance heavy on Pink Floyd hits and paired with searing visual imagery that depicts the president as a fascist, infant and coward. 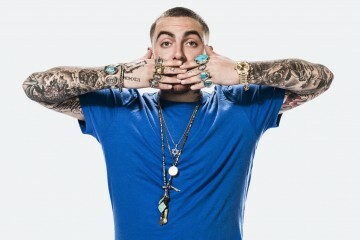 What’d you expect from the guy who penned Animals? Thrival Festival returns to the Carrie Furnaces for its fifth year with a headlining, homecoming set from the prince of the city, Wiz Khalifa. Night one will be headlined by white-hot rapper Logic, currently on tour with Joey Badass, and who recently made a guest appearance on Rick and Morty. 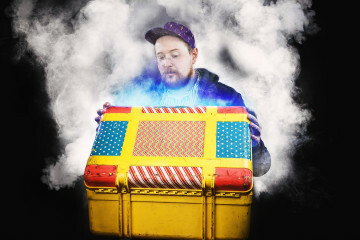 Other performers include N. Irish indie rock vets Two Door Cinema Club, Detroit electro-funk act GRiZ, and many others. Don’t forget that Thrival begins with two days of innovation events, including a talk by Wiz at the Carnegie Museum of Art Thursday, September 28. Best known in the States as the band that launched the career of Feist, Canadian indie rock supergroup Broken Social Scene counts 15 members in its rank, all of whom will be on stage when they visit the Byham. The band’s new album, Hug of Thunder, is their first since 2010, and it’s a joy to listen to. Under the Radar calls it “an impressive return for a band that set the bar high years ago and continue to clear it with ease,” while The Quietus calls it their best album yet. Scottish indie rockers Frightened Rabbit open. The National’s new album Sleep Well Beast doesn’t come out until September 8, but it’s already garnered them their first #1 Billboard single with “The System Only Dreams in Total Darkness,” an appropriate title for a quintet known for their haunting, vulnerable melodies. Some of the early reviews to come out are calling it their best album since 2007’s The Boxer, which is serious praise given the high regard in which each of their albums is held. Well, this is fun. Pittsburgh will be the first stop on the first ever international tour for Los Wembler’s de Iquitos. According to their bio, a shoemaker, Solomon Sanchez, and his five sons formed a band and were “the first band in the Amazon to play popular local rhythms with electric guitars.” This was in 1968, in Iquitos, capital of the Peruvian Amazon and “the largest isolated city in the world.” The result is a combination of psychedelic guitar, Andean folk melodies and cumbia rhythms known as “cumbia amazonicá.” Local support from Afro Yaqui Music Collective.